BRIGHTON Council has described proposed changes to school enrolment procedures as a bad policy that will reduce choices for students and families. COMMUNITY members and service providers recently participated in the first Under One Rainbow – Community Coming Together event. 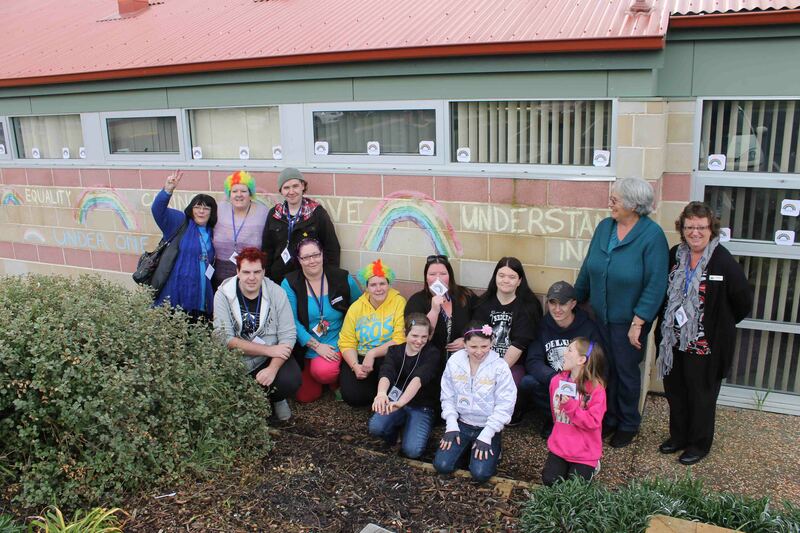 Rainbows and supportive messages were painted in chalk throughout the Gagebrook Community Centre and car park to spread the message of inclusiveness. Members of the community have come together in the Under One Rainbow – Community Coming Together event. The Jordan River Service Inc is encouraging all local services, businesses and community members to support this initiative to show the GLBT community that we promote equality and understanding. Special thanks to Red Cross for assisting this initiative by providing materials and resources to enable the project to proceed and help with community pride for all people who live here. For more information check out the Facebook page – Under One Rainbow – or contact Sonya Williams on 6263 7871. 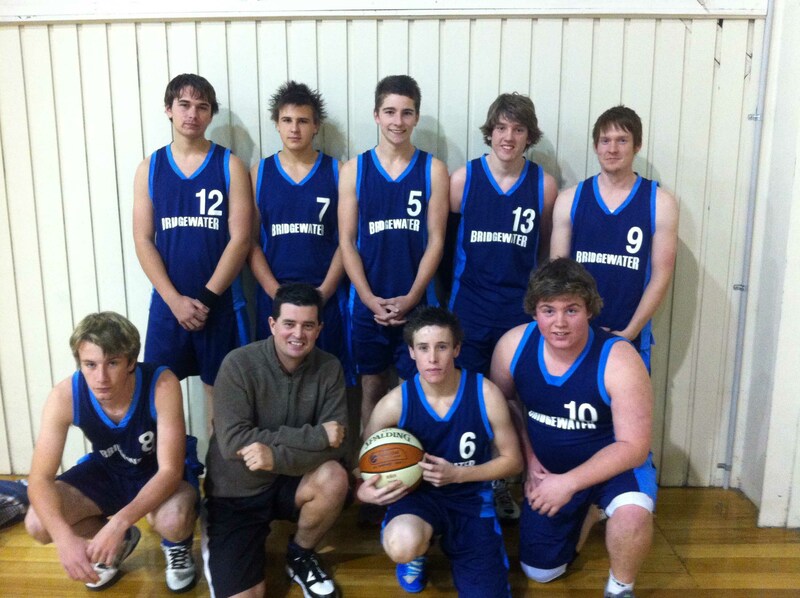 IN February the Bridgewater PCYC entered a team of young local boy’s into in the Moonah Basketball Association’s Men’s Sunday roster. These boys have been linked to the PCYC for many years, and after participating within the Youth Future’s Program, we decided to venture the boys out into the wider community. In return a vast improvement in skills, knowledge and relations with other community member’s has taken place. The successful PCYC team which won the Moonah Basketball Association’s C2 Division grand final. THIS month we were delighted to officially welcome Toll Transport’s relocation to Brighton’s Industrial Estate with its announced $25-million investment in southern freight infrastructure. THERE was action, action and more action happening on July 18 when the Rock Property Mega Community Blitz event took place across the Brighton municipality. 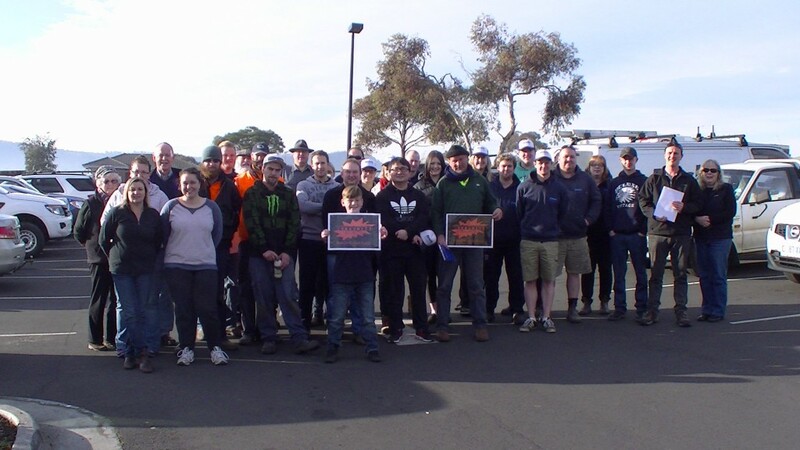 More than 50 volunteers from Rock Property, Community Blitz Governance Group and the broader community took part in this concerted effort to assist local organisations. The fantastic Mega Community Blitz team gather together after their great efforts to assist local organisations. THE State Government and Brighton Council have welcomed Toll Tasmania’s $25-million investment in southern freight infrastructure. 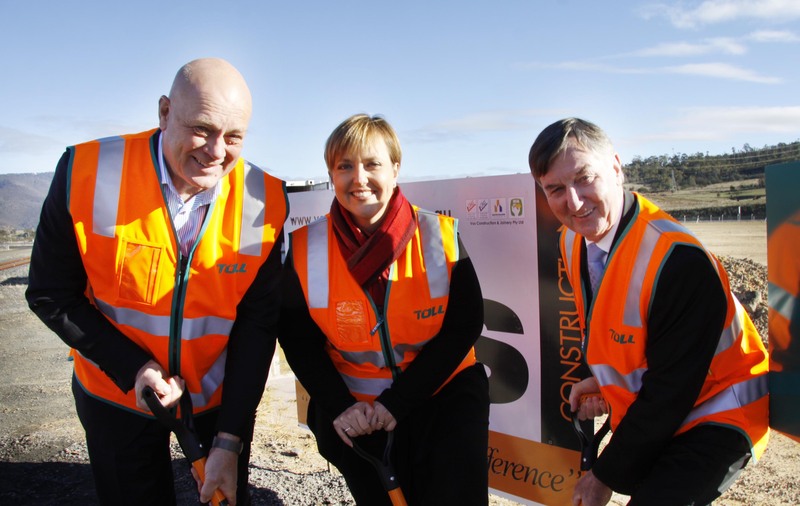 Premier Lara Giddings and Brighton Mayor Tony Foster were speaking at the celebration of the start of construction of Toll’s new headquarters at the Brighton Transport Hub. Officiating are from left, Toll’s Tony Stewart with Premier Lara Giddings and Brighton Mayor, Tony Foster.